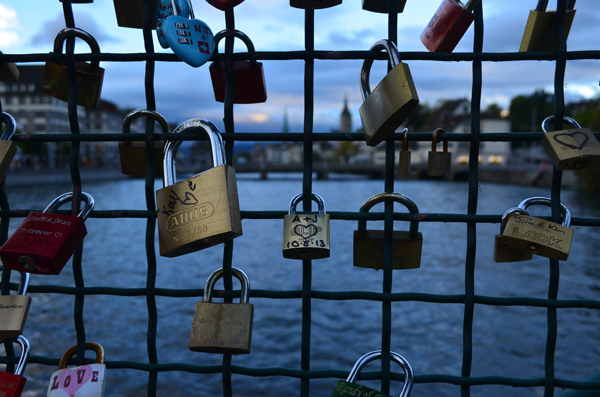 I have posted many times about the bridge with love locks in Cologne, Germany. Even though I have only been there on my own, I've added a lock for Aaron and I. While walking around Zurich we got really excited when we found one of the bridges across the Lammat River had locks on it. Not as many as in Cologne, but still. So while we were in a nearby store we got a lock and a Swiss version of a Sharpie and added our own lock in Zurich!